I hope that after reading my previous post about the Asian Skincare Routine – The Basics, you have a good understanding of how to use cleansers, toners, serums, and creams. Although the so-called 10-step Asian Skincare Routine can seem intimidating at first glance, most of those products fit into a basic four steps: Double Cleanse, Hydrate (Toner), Treat (Serum), and Seal (Cream). For those of you who are ready to take your skincare treatment a step further, you may have considered adding acids into your routine. Acids are highly active ingredients that treat things like acne, hyperpigmentation, and clogged pores. Note: There are affiliate links on this page. Purchases made through these links may generate a small commission that helps support this blog. You won’t pay a penny more, and these do not in any way influence my reviews. Generally, acids in skincare fall into two categories: AHA and BHA. AHA, or Alpha Hydroxy Acids, exfoliate the top layer of the skin, removing dead skin cells and revealing fresh, new skin. They work well for reducing hyperpigmentation, as well as for brightening and preventing pores from clogging. This category of acids include glycolic acid (one of the most common), lactic acid, mandelic acid (my favorite), and others. BHA, or Beta Hydroxy Acids, exfoliate inside the pores, so they are great for keeping pores clear and preventing acne. They also reduce inflammation. The most common BHA is salicylic acid, but in Asian skincare we also see betaine salicylate, a more gentle form. Note: Do not use BHA when pregnant or breastfeeding. Another form of acid commonly used in skincare is the acidic form of Vitamin C, L-ascorbic acid (L-AA). This form of vitamin C works best at a low pH (about 2.5) and exfoliates the skin much like other acids. If you are using an L-AA vitamin C serum, you’ll want to use it at the beginning of your routine, similarly to AHA and BHA. However, there are non-acidic forms of vitamin C that do not require being treated like an acid. Quick disclaimer here: I am NOT a doctor or a skincare professional. I’m just an amateur skincare enthusiast who has researched a lot and experimented a lot with my own skin. Please take everything I say here with a grain of salt. Always follow the instructions on the product packaging, and when in doubt, please consult your dermatologist. While this isn’t a hard and fast rule, it’s usually a good idea to use acids right after your cleansing step. This is so that the acids can work on your bare skin and be fully effective, instead of having layers of product between them and your skin. This is especially true of watery, serum-like or gel-like acid products, or those which are designed to be washed off, like acid peels. I’ve seen it commonly recommended on skincare forums to wait about 15 minutes after cleansing until your skin returns to its normal acidity before using acids. This is because cleansers (and tap water) raise your skin’s pH (all the more reason to use a low-pH cleanser), and acids are most effective at lower pH levels. The problem with waiting between cleansing and your acid step is that the water in your skin evaporates very quickly in the time it takes your skin to return to normal pH, potentially causing problems with dryness. You can get around this by using an acidic, or pH-adjusting toner, but I personally don’t want to add another acid product as I like to be very gentle with my skin. (If you’re interested, the Mizon AHA/BHA Daily Clean Toner is a popular pH-adjusting toner). My personal belief is that most acid products are formulated to be used with a normal cleansing routine, so the small amount of effectiveness that you may gain isn’t worth the extra dryness. And by using a low-pH cleanser, I minimize the rise in pH of my skin to begin with. Long story short, I don’t think you need to wait between cleansing and applying your acids. That said, do what works best for you. I’ve been using gentle acids for a couple years without waiting beforehand and I’ve been happy with the results. However, it’s not a bad idea to wait a few minutes after applying acids (more or less depending on whether you feel your skin drying out) before putting on your next layer (hydrating toner) to allow the acid to absorb and to do its work. 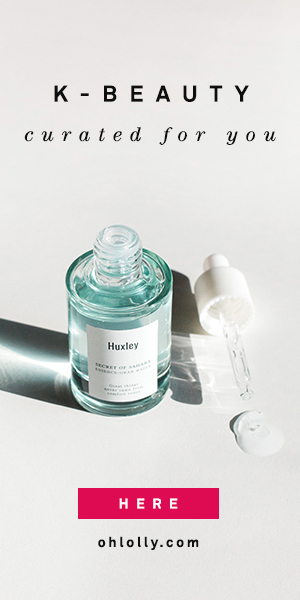 In general, most acids I’ve seen come in a watery gel or serum form, so they’re easy to incorporate immediately after cleansing and before your hydrating toner. However, I’ve been increasingly seeing AHA and BHA acids come in cream or balm form. For example, the Simplistic Supreme Salve* in the photo above is a thick emollient cream. It just wouldn’t work before my toner, so I use it after my serums and before my cream. The emollients in the salve keep my skin from drying out, and although it’s very gentle, it is still effective at gradually smoothing my skin. If you have a cream-type acid product, use your own judgment as to which step in your routine will be the most appropriate. The Stratia 10% Mandelic Acid Gel* above is a more traditional acid product in that it’s a thin gel that can easily be applied before toners and serums. What I love about the Stratia AHA though, is that it contains aloe, hyaluronic acid, and other humectants to keep your skin from drying out during the acid stage. It can be easy to be a little over-enthusiastic about acids, especially when you witness the quick smoothing and evening effects. But be very careful not to over-exfoliate, as that can make existing skin problems far worse by compromising your skin’s barrier. I highly recommend starting with very gentle acids such as the Cosrx Bha Blackhead Power Liquid , or the Cosrx AHA 7 Whitehead Power Liquid , and incorporating them every 3-4 days at first before gradually increasing usage to every other day or every day. If at any point you start to break out or experience tight, shiny, dry skin, back WAY off! AHA acids cause your skin to be more sensitive to the sun, and any exfoliation is going to make your skin more prone to sun damage. It’s important to protect your new, fresh, baby skin with an effective broad-spectrum sunscreen (which hopefully you were doing anyway)! Here’s an example of how you might incorporate an AHA serum into a typical Asian skincare routine (I say “Asian” because of the structure of the routine, but you’ll notice I use a variety of Asian and Western products). Acid: Stratia Soft Touch AHA 10% Mandelic Acid* — this is my favorite AHA serum so far. It’s surprisingly hydrating and doesn’t irritate my skin, but my skin is SO soft and smooth the next morning. I also believe it’s making real headway in fading stubborn sun spots. It’s important to remember that what works for my skin may not work for yours, and vice versa. This is especially true when you add highly active products into your routine, like acids. Listen to your skin and back off any acids if you feel that your skin isn’t responding well to them. I hope you feel a little more comfortable using acids in your skincare routine, and that you have a better understanding of how to incorporate them. Let me know if you have any questions! *Press samples (I received these products free for testing). I am not being compensated for reviewing or posting about them. Some links on this page are affiliate links, meaning I get a small commission when you make a purchase through my link. You will not pay a penny more! THANKS!!! despite my long experience with acids and AB, i was just confusing myself over hydrating vs ph-balancing toner and when to apply relative to acids. this is SO useful! You’re so welcome! I’m glad it was helpful. I was definitely confused about the two when I first started AB. Also, there are no hard and fast rules. If you feel better applying acids after your hydrating toner, they’ll still be effective, just not AS effective as when you apply them on bare skin =). I don’t use acidic toner – only Avène Thermal Spring Water (pH 7.5). If I wait more than a minute or two – my skin dries out. I really don’t like to apply the acids on very dry skin – but I guess, that’s best, when you write, that some people wait up to 15 minutes after cleansing. Tonight I will give it a chance and wait about 5 minutes? Exactly how long do you wait, when you don’t use acidic toner? I was told to wait about a minute or two after the acids before I move on with the toner step. But it still feels a little sticky then – which means it’s still working, I guess. Until today I have been waiting 3-4 minutes in stead, but I want to give the 5 minutes a try then. Found your blog through r/AB and I love the infographic. I wasn’t interested in using acids in my skincare routine anytime soon (or ever) as I don’t think my skin needs them & I always feel like there’s a lot of info on them which can be overwhelming. However, your blog post definitely made me interested in trying some out. I’m still going to hold out until I get my basics down, but would be more agreeable to the idea of adding acids in the future if I want to. Yes it should be fine. The Gentlemask cleanser doesn’t contain much, and since it’s a wash-off, it doesn’t sit on your skin very long. Thanks for the post! I’m currently using Son & Park Toner, would I apply that before or after the acids? If in the future I use a different clear toner similar to Son & Park’s should I apply it before or after the acids? I’m also using Klairs Vitamin C serum, should this be applied on bare face as well or in the normal serum step after toner and essence? Thank you! Depends – that toner can be used as your last cleansing step or first hydrating step. If using it to clean up any remaining debris after your cleanser, use before acids. The Klairs C serum — I use it in my serum step personally, but you can see what works best for you!